East London MC and producer Wiley has come third in BBC News Online's Sound of 2004 survey to uncover the music artists to watch in the next 12 months. Every day this week, we are revealing one artist in the Sound of 2004 top five until the number one artist is revealed on Friday. 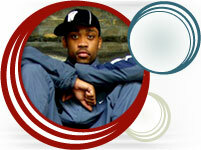 Wiley is currently the biggest star on the UK's underground urban music scene, taking garage in a new direction and taking thousands of fans with him. After working his way up through jungle and garage, Wiley is now heading a new musical style called eski beat or grime, which mixes UK garage with US hip-hop and Jamaican ragga. That style is inspired by deeper emotions than the usual rave tunes, he says, making him deeper and darker than other artists. The 24-year-old has already sold at least 50,000 records after releasing one track a month for two years on his own label, according to his estimates. He now has a deal with XL Records, home to his friend and collaborator Dizzee Rascal, who won the Mercury Music Prize in 2003. 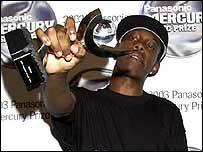 Growing up in Bow, east London, like Dizzee Rascal, Wiley says he has played music for as long as he can remember. His parents split when he was young but his dad was in a band and gave him early exposure to reggae and ragga soundsystems. At school with other soon-to-be garage stars, Wiley started by DJing, then doing his own live vocals and producing his own tunes. "We all went to school and we didn't really want to do no schoolwork, so music was the other thing," he tells BBC News Online. The turning point in his life came five years ago when he was in trouble with police and his grandmother kicked him out. He stayed with a friend in a filthy flat, where he had to sleep on two towels because he did not have a bed - and became determined to get out of that situation and make something of his life. He made his name as part of the garage Pay As U Go crew, then formed his own Roll Deep Crew, which numbered Dizzee Rascal among its members. Now, his music is taking the current garage music scene forward, he says, because it is "more feelings music" than the rest of the genre. "When I make a beat it's the feeling coming out of me from when I had an argument last week with my girl, or when I had an argument with my mum," he says. "That's what's important about my music - it's a reflection of my person." It can be bright as well as dark, he says. "But a lot of the time I am in a darker mood." 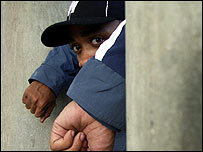 Wiley's songs often have a cold theme, with titles like Eskimo, Ice Rink and Igloo, and reflect the troubles of his own life, he says. These have included being the target of a shooting, he says, and falling 20 feet (six metres) through a roof while being chased by police from a pirate radio station. He also says he has not been accepted by many in the garage scene because of his new direction - but insists he does not need them to succeed. "I've made music that loads of people in my country have started to follow," he says. "It hasn't made garage die, because garage is not dead - garage has gone over into a different section." Wiley already gets mobbed by fans in the street, he says, and hundreds of people try to call his mobile every day, forcing him to change his number regularly. He now has his sights set on commercial success, aiming to become the UK answer to US rap moguls like P Diddy with his own record label and clothing range. "I'm not going to turn commercial, but yes, I want to succeed," he says. "I want to succeed in life as a whole, not just in music."